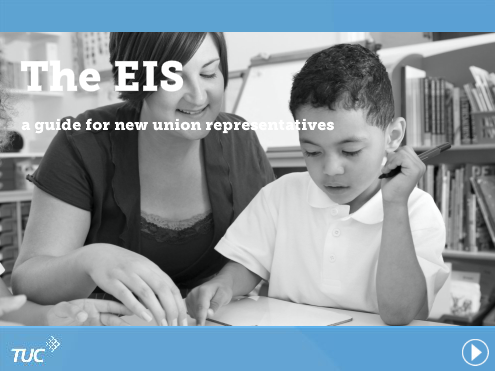 EIS representatives are fundamental to the operation of this union and play a vital role for the members in the workplace. Below you'll find the EIS Representatives' Training eNote. To view on mobile or tablet devices click here. If you are interested in becoming an EIS Rep please contact your Local Association Secretary. Please find advice regarding the consultative ballot on the 25 January Pay offer. Support, Policy and Advice - an online resource. Information on upcoming TUC training courses.